A Horsham road has been cleared following a two-vehicle crash outside the station which caused heavy disruption this evening (November 19). A van rolled onto its side following a collision with a car in North Street at about 4.10pm. 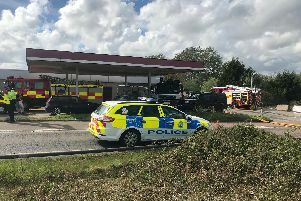 Horsham Police said the incident had now been cleared and the road had been re-opened.